RAWALPINDI: Former president Asif Ali Zardari on Saturday said that Prime Minister Imran Khan had no match with him and his son Bilawal Bhutto Zardari in the field of politics. Earlier, Asif Ali Zardari submitted his response to a questionnaire containing 54 questions in connection with three cases against him, including Park Lane Estate. The questionnaire was handed over to him by the National Accountability Bureau (NAB), Rawalpindi. According to sources, Zardari in his written response maintained that the NAB has no jurisdiction pertaining to the Park Lane Estate case as, according to the National Accountability Ordinance (NAO), the accountability watchdog is not liable to investigate matters of a private company. He questioned the bureau’s jurisdiction over the matter while maintaining that Pakistan People’s Party Chairman Bilawal Bhutto Zardari and he have no affiliation with the Parthenon Company. The ex-president stated that the company was bought in 1989 from Sadruddin Hashwani in which Bilawal Bhutto Zardari, Iqbal Memon, Rehmatullah, Muhammad Younus and Altaf Hussain were the shareholders. “I owned just 25 percent shares of the Park Lane Company and in 2008 resigned from its directorship before taking oath as the president of Pakistan,” Zardari claimed. To one of the questions, he responded that the Parthenon Company was not aware about a loan of Rs1.5 billion from the National Bank of Pakistan. He stated that the questionnaire in itself was exceeding jurisdiction of the bureau according to the law. 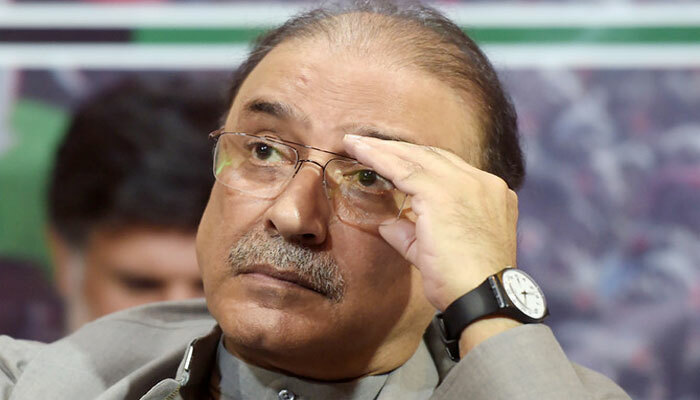 The NAB on Friday formally stated the reasons for its opposition to the interim bail granted to Zardari by the Islamabad High Court (IHC) in the fake accounts case. The development came following extension of Zardari and his sister Faryal Talpur’s interim bails till April 29 by the IHC. The court had also directed the NAB to furnish details of ongoing and pending inquiries against them. The bureau in its report explained its opposition to bail saying that the former president may tamper with records if not taken into custody. Furthermore, it accused Zardari of not cooperating with the investigation team. Zardari is accused of fraudulently obtaining Rs1.5 billion in loans for his Park Lane Estate through other firms. On March 20, the NAB, Rawalpindi handed over questionnaires comprising 54 questions each to Zardari and his son Bilawal in three cases including Park Lane Estate reference and subsequently directed them to submit their response within 10 days. The members of a joint investigation team (JIT) of the graft watchdog had recorded their statements after two hours of interrogation at the Bureau’s office in Rawalpindi concerning accusations over Park Lane Estate Company (Pvt) Ltd a Karachi based real estate firm co-owned by Zardari and Bilawal. According to sources, Zardari had acquired the company illegally through a front man Iqbal Memon in 1989. In 2009, Zardari and Bilawal became shareholders of the company. Allegedly, billions of rupees were transferred to the company’s accounts via fake bank accounts while the company documents dating back to the year 2008 show Zardari’s signatures as the director. The company took loans of billions of rupees from the banks.